The Resource Room is not just a place, but also a placement. Because the resource room removes a child from a general education classroom for even part of the day, it is increasing the "restrictiveness" which is defined and proscribed except when necessary by IDEIA (Individual with Disabilities Educational Improvement Act.) It is part of the placement process and is considered necessary for children who are easily distracted in the general education setting, especially when new information is being introduced. 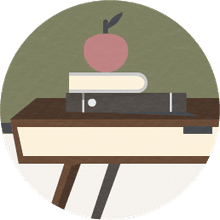 Resource rooms is a separate setting, either a classroom or a smaller designated room, where a special education program can be delivered to a student with a disability individually or in a small group. It is for the student who qualifies for either a special class or regular class placement but needs some special instruction in an individualized or small group setting for a portion of the day. Individual needs are supported in resource rooms as defined by the student's IEP. Sometimes this form of support is called Resource and Withdrawal (or pull out). The child getting this type of support will receive some time in the resource room, which refers to the withdrawal portion of the day and some time in the regular classroom with modifications and/or accommodations which are the resource support in the regular classroom. This type of support helps ensure that the inclusional model is still in place. How Long Is a Child in the Resource Room? Most educational jurisdictions will have time increments that are allocated to the child for resource room support. For instance, a minimum of three hours a week in time increments of 45 minutes. This will sometimes vary on the age of the child. The teacher in the resource room is, therefore, able to concentrate on the specific area of need with some consistency. Resource rooms are found in elementary, middle and high schools. Sometimes the support in the high school takes on more of a consultative approach. Teachers in the resource room have a challenging role as they need to design all instruction to meet the specific needs of the students they service to maximize their learning potential. The resource room teachers work closely with the child's regular classroom teacher and the parents to ensure support is indeed helping the student to reach their full potential. The teacher follows the IEP and will take part in the IEP review meetings. The teacher will also work very closely with other professionals and paraprofessionals to support the specific student. Usually, the resource room teacher will work with small groups helping in one to one situations when possible. Some older students feel a stigma when they go to the resource room. However, their individual needs are usually met better and the teacher will work closely with the regular classroom teacher to help support the child as much as is possible. The resource room tends to be less distracting than the regular classroom setting. Many resource rooms also support the social needs of their students in the small group setting and will provide behavior interventions. It will be very rare for a child to spend more than 50% of their day in the resource room, however, they may spend up to 50% in the resource room. Students in the resource room are usually assessed and tested in the resource room as it provides a less distracting environment and a better chance at success. A child will be re-evaluated every 3 years to determine special education eligibility.